Seven earth-sized planets have been discovered recently by NASA, in the constellation of Aquarius. The exoplanet (a planet that orbits a star other than our Sun) system is called TRAPPIST-1, which stands for The Transiting Planets and Planetesimals Small Telescope. The tiny, dim star the planets are orbiting is only about 40 light-years (235 trillion miles) away from the Earth. This is regarded as a huge discovery as this is the first star system known that consists of such a large number of Earth-sized and probably rocky planets. How were the planets identified? NASA’s Trappist robotic telescope and exoplanet-hunting Spitzer Space Telescope were used to observe the passage of planets. The telescope operates at infrared wavelengths which glow the brightest from TRAPPIST-1. In passing, celestial bodies block out a small amount of light from the host star, creating shadows.  Tiny dimming can therefore be detected. The masses, sizes and densities of the planets can also be estimated. This process is called transit photometry. A graph showing the change in brightness from the dwarf star as a result of each of the exoplanets crossing in front of it. Larger planets cause a deeper decrease in brightness, while those further away cause a longer dip as they are orbiting more slowly. Data from NASA’s Spitzer Telescope, Gillon et al. 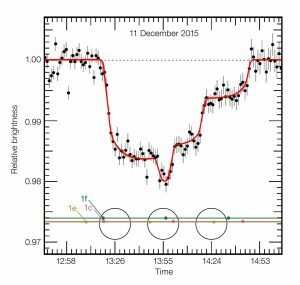 This plot shows the varying brightness of the dwarf star during an unusual triple transit event on 11 December 2015. 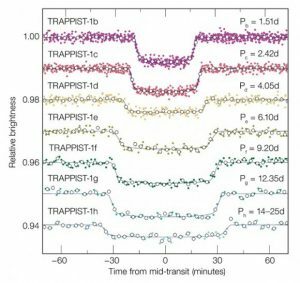 The additional blockage caused by each planet can be seen by the successive dips. Monitored using the HAWK-I instrument on ESO’s Very Large Telescope, Gillon at al. The planets appear to be temperate and Earth-sized planets, with two of them in the habitable zone. Due to the dimness of the parent star, the planets are darker than the Earth. However they are relatively close to it and so all the planets have surface temperatures in the range of 0-100 degrees Celsius. Of the planets, three of them are located in the habitable zone. It is also discovered that all of them could have liquid water under the suitable atmospheric conditions, which is a key for any life form on Earth to exist. However, further study and investigations are needed to ensure that the temperatures, surface pressures and chemical fingerprints of water, oxygen and ozone (amongst other molecules) are suitable to support life. This discovery has contributed a lot in the search of potential habitable environments outside the Solar system. Thanks to the continuous improvement in technology, we might may be able to move home to another world in the near future. Chou, F., S. Potter, and E. Landau. “NASA Telescope Reveals Largest Batch of Earth-Size, Habitable-Zone Planets Around Single Star .” www.nasa.gov. February 22, 2017. 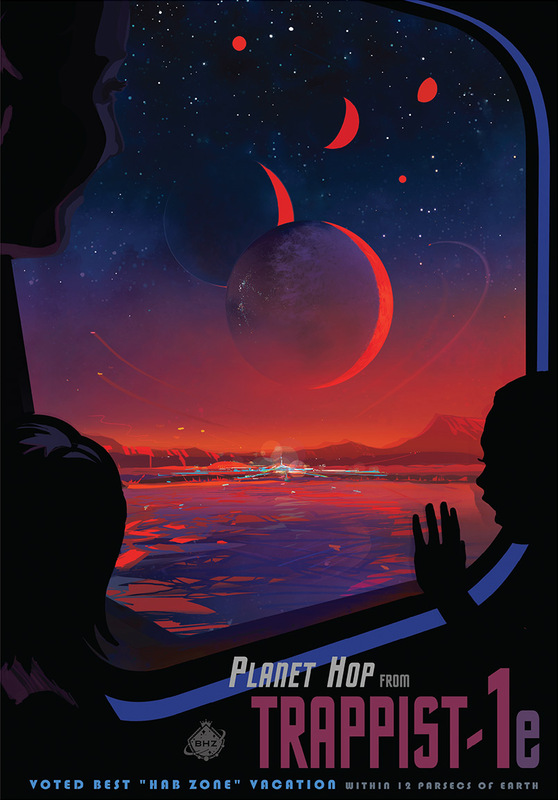 Accessed March 02, 2017. https://www.nasa.gov/press-release/nasa-telescope-reveals-largest-batch-of-earth-size-habitable-zone-planets-around. Sommerlad, J. “Exoplanet discovery: Five facts you didn’t know about Nasa’s new solar system .” www.independent.co.uk. February 23, 2017. Accessed March 2, 2017. http://www.independent.co.uk/news/science/exoplanet-discovery-nasa-announcement-google-doodle-alien-life-supporting-solar-system-earth-like-a7594801.html.